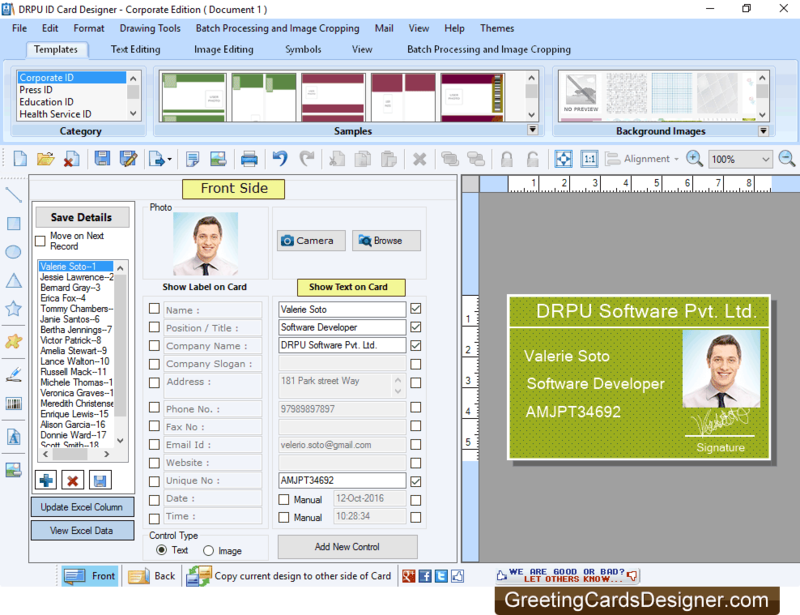 ID Card Designer - Corporate Edition enables users to create ID cards with option to print designed ID cards for students, employees, visitors, security members, etc. You can generate your ID card by using pre-defined templates or you can start creating ID card with previously saved design log file. 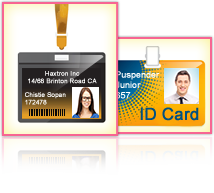 Software is also having Live Group and Batch Processing mode that is ideal for ID card designing of multiple people. While designing ID card, you can capture the image using Camera Setting option. Image Cropping Tool - Software provides Image Cropping tool to crop single or multiple images for ID card. Camera Setting Option - Facility to capture the images using Camera setting feature while designing ID card. Visitor ID or Gate Pass Mode - Software creates visitor ID cards and Gate Passes for visitors. Add Visitors Details to Database - Software provides facility to save visitors details to the database while designing visitor ID card. Export Designed ID Card - Software has option to export designed ID cards as Image ( PNG, BMP, JPEG, etc ), PDF file format and as Template. Batch Processing Series Feature - Create multiple ID cards with different barcode and text value. Email Settings - Send your designed ID cards at particular email address using inbuilt email setting option. Save Designed ID Card Log - Facility to save designed ID cards log in (.idd) file format for future usage.